Just another quick post to share my progress on the Eldar. As you can see, some are more finished than others. All of them have been airbrushed with Red Gore followed by a Red Gore/Blood Red mix in order to get the basecoat and initial shading. 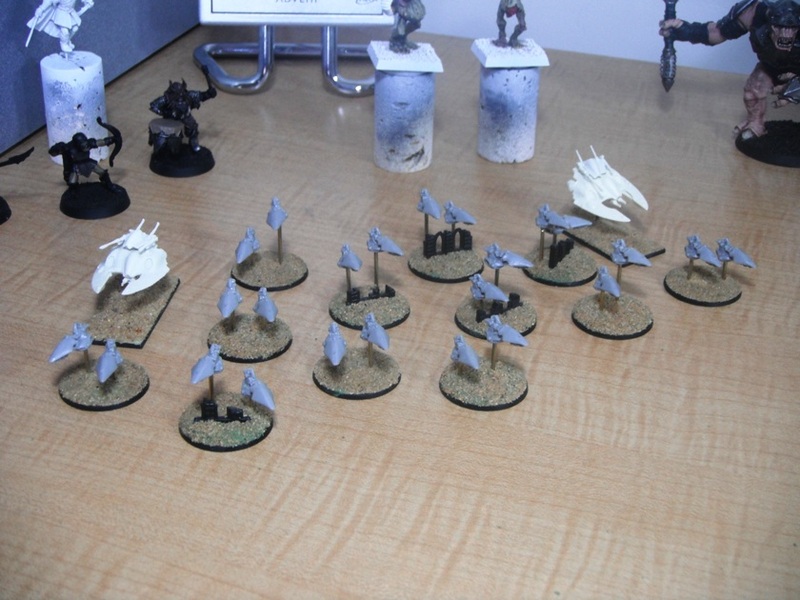 The ones on the left have been highlighted further with a brush using pure Blood Red. I have also painted the helmets, gemstones and started to add some freehand designs. This time I have opted for the slightly more complex twin serpents motif. At first I was worried that this looked a little too fussy on models of this size but after completing a few I think it looks really effective. 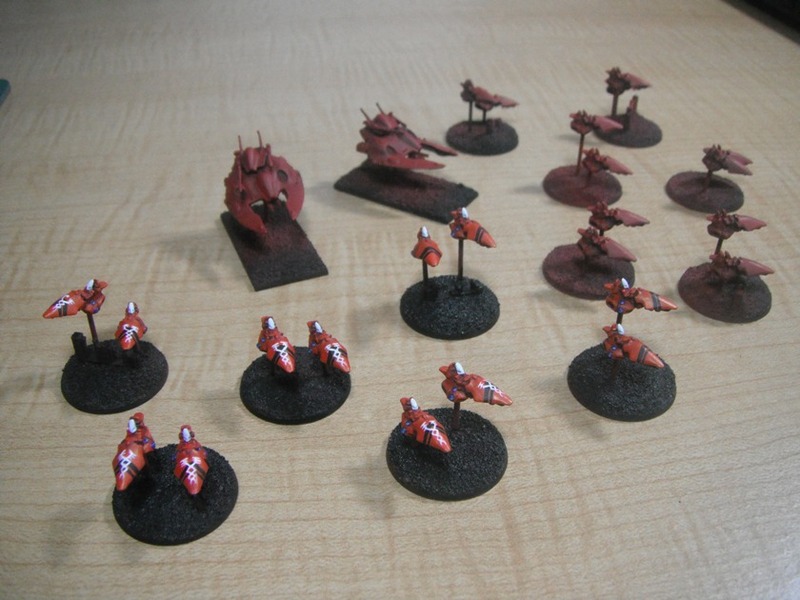 The idea behind using different designs on the jetbikes is to distinguish the different formations from one another on the tabletop. I’m not sure what I’m going to do for the next troupe as I’ve used the two characteristic designs of Saim-Hann already. 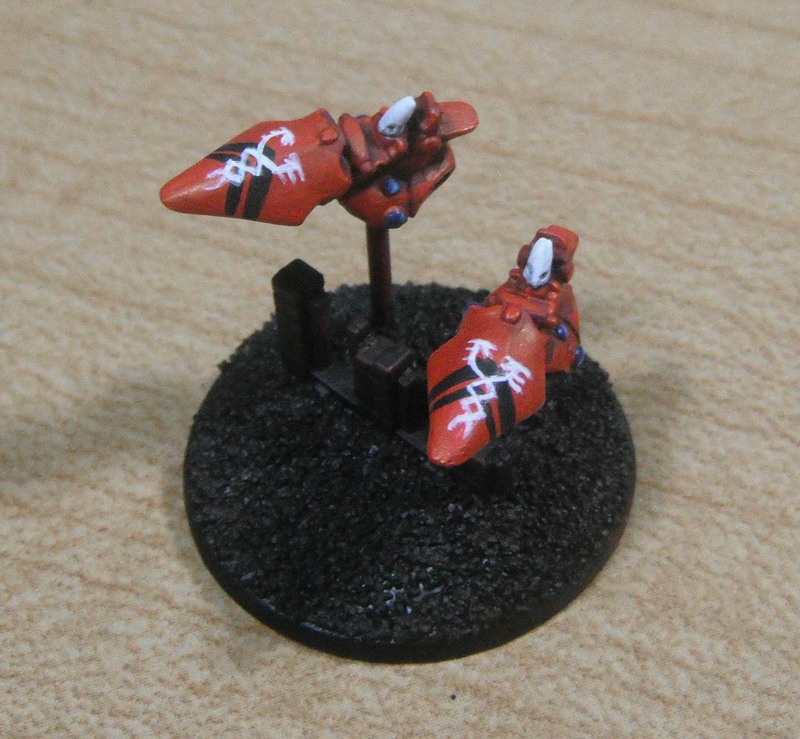 I might use the ‘Guardian Jetbike’ rune from Codex Eldar but I’ll have to give this some thought. Expect more and better pictures when they are complete. My thesis has been keeping me very busy at the moment but here are a few of the projects currently occupying my desktop along with my books. Hopefully at least some of these guys will see progress over the course of the weekend. Stay tuned.